Ex Libris: Spotlight on Paranormal Romance: Guest post by Emily from What Book Is That? Spotlight on Paranormal Romance: Guest post by Emily from What Book Is That? 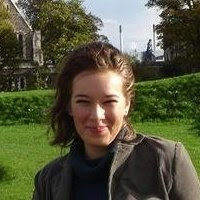 Today fellow blogger Emily, who you may know from her blog: What Book Is That? will tell us about some of her favourite not strictly paranormal romance picks that in her opinion are worth checking out. Without further ado, I cede the scene to Emily. I am officially a paranormal romance addict. I owe this addiction, at least initially, to Twilight; from there it was a hop, skip and a jump to countless other series, authors, and characters. In the world of PNR, the story possibilities literally are endless, and ideas from other genres frequently find their way into books that are marketed as paranormal romance. For me, that's one of my favorite things about the genre. Every time I pick up a book I have the chance to read a combination of ideas that haven't been tried before, without the limits of what's possible or impossible in the "real" world. When I started writing this post, I started off by thinking of all of my favorite PNR titles, of which there are certainly many. There are some series that have gained a wide following both throughout the blogging world and elsewhere; I didn't want to write about those, as awesome as they are. Instead, I wanted to call to your attention some awesome paranormal romances, who blur the lines between genres and create memorable stories and characters. With that said, the following titles are submitted for your approval; I hope you read and love them as much as I do! Red by Jordan Summers. 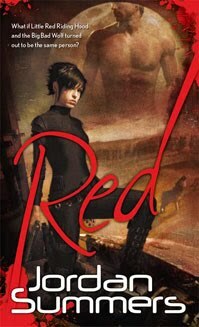 Red is probably one of the best examples I can think of for a book that blurs the line between genres. It's definitely paranormal romance, sure, but it's also urban fantasy, dystopian, and science fiction too. Take a futuristic setting after an environmental disaster, add in supernatural beings who were actually failed genetic experiments from secret government labs, layer in a cover up and a steamy hot romance, and you've got an idea of what awaits you in Red. I'm happy to say that there are two other books in this series so far as well, so there's more where this came from! Red is definitely a book unlike any other that I've read so far. Jacob by Jacquelyn Frank. Jacquelyn Frank is one of my favorite PNR authors but I've found that I don't see her books mentioned a whole lot. I'm remedying that right now- her Nightwalker series, of which Jacob is the first book, is excellent, and really is one of the books that gave PNR a dedicated spot on my bookshelf. The cast of characters and the setting of the story are definitely unique, and the relationship between the hero and heroine takes off from the first page. Definitely check this one out. 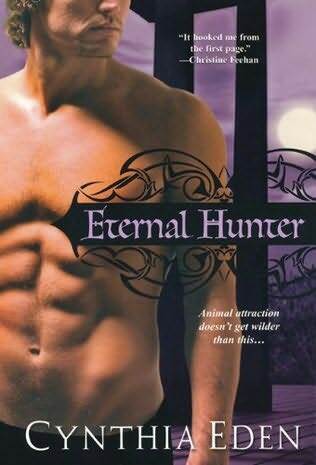 Eternal Hunter by Cynthia Eden. This is a spicy one! This is the first book in the Night Watch series and is all about shifters- specifically, Jude and Erin, and their fight to not only keep Erin safe from a psycho stalker out of her past, but also to be able to have a relationship for themselves. If you're new to this author then I definitely recommend starting with this title (although the other ones are very good as well,) and if you like what you see, check out the next book, I'll Be Slaying You, which is coming out this summer! It's already got a prominent spot on my to-buy list. 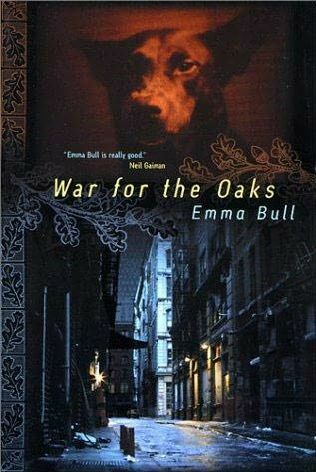 War for the Oaks by Emma Bull. In this book, the romance almost sneaks up on you- as the reader you get the chance to see two of the main characters spiral into love with each other against the backdrop of some pretty serious faerie-related shenanigans. This novel definitely blurs the line between urban fantasy and paranormal romance, combining the best elements of each one into a book that's fun to read and leaves you wanting more. 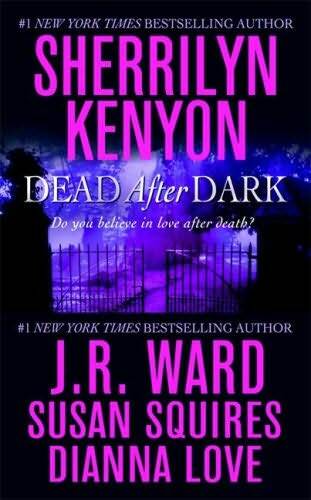 Dead After Dark by Sherrilyn Kenyon, J.R. Ward, Susan Squires, and Dianna Love. One excellent way to find out about new authors in PNR is to check out the many different anthologies that are available. Oftentimes the stories included will tie into the series that an author is known for, but sometimes, as is the case with The Story of Son by J.R. Ward, they stand on their own with only slight references to other works or ideas. Anthologies let you try out a few different authors without committing to a whole novel, and this one is a good one. Enemy Lover by Karin Harlow. This is one of my favorites so far of 2010, and to top it all off, it's a debut book, so I'm beyond excited to see where the series goes from here! Take one vampire assassin, throw him in the path of an equally tough and awesome heroine, and watch the sparks fly. It could be as simple as that and that would still be fun, but this book features action all over the place and really heartfelt, well-drawn character emotions as well. Masked by Moonlight by Nancy Gideon. This is another one that's earned a spot on my favorites list for this year! Set against the backdrop of New Orleans, mob enforcer (and werewolf) Max Savoie has to deal with his growing feelings for cop Charlotte Caissie without either of them ending up dead, arrested, or brokenhearted. The romance is sweet, the action is nonstop, and this couple has to overcome some serious odds in order to even have a shot at being together. There are two more books in this series due out within the next couple of months, and personally I can't wait! You can find Emily at her blog, What Book is That? Thank you Emily for the great recommendations, I already have Enemy Lover on my TBR shelf and will check out the others. And what do you, paranormal romance readers think? Which are your favourite non-mainstream paranormal romance novels? Do you know of any unadvertised gems which are worth discovering? Do you prefer paranormal romances which blur the lines between genres or which remain strictly riomances with some paranormal element? Please share your thoughts and suggestions with us.